I’ve read a lot of books in 49 years. As I’ve crossed many of the obvious ones off my list, I’ve made an effort to search for stories that sound good but may have eluded me in the past. A good number of the books have gone out of print since they were published, and it’s difficult to find clues about their existence anymore. When I do find mention of one of them, I sit up a bit straighter and note the title and author, saving it for when I get the opportunity to look for it. I first read Native American fiction back in the early 90s, when Sherman Alexie published, to much acclaim, his first short story collection, The Lone Ranger And Tonto Fistfight In Heaven. I remember liking it, but I confess that I haven’t read anything else of his since. I’ve picked up his subsequent books and considered reading them, but either the story didn’t resonate with me, or there was something else I had a more burning interest in at the time. A couple years ago, I had one of those sit-up-straight moments when a Native writer was mentioned and I hadn’t heard his name before. The novel sounded intriguing, so I went out and got it. Since then, I’ve had this strong desire to devour as much Native fiction as I could find. Apart from the odd LeCarre novel, it’s about all I’ve been reading. I wanted to share who the authors are and what I thought of their works. James Welch – His was the first book that started my somewhat obsessive focus. Winter In The Blood is the story of a young Indian who lives on a Montana reservation, his struggle with his identity, and the deaths of his father and brother. The young man spends his days in a boozy haze, trying to locate an ex-girlfriend who stole his gun, and encountering a few other sympathetic women along the way. There’s a baleful tone throughout, and the narrator’s heartbreak at what was lost, in terms of his culture and his people, runs just under the surface, guiding his every move. I just learned that a film was made of the book back in 2012. That’s one I’ll want to see. As good as that novel was, it was another Welch novel that really impressed me. Fools Crow is a more ambitious historical story, set in 1870. It concerns mainly one initially unassuming member of a Blackfeet tribe, named White Man’s Dog. We are given a glimpse into the life of this band as they survive day to day, hunting buffalo, raising families, beginning and ending relationships, mounting a war party on the nearby Crow tribe, and watching as white settlers begin to encroach on their sacred living space. White Man’s Dog proves himself to be a formidable warrior and leader, and earns a respectful change of name in the process. The book was published in 1986, but all the while I felt like it was a historical document, written in such exquisite detail that Welch must have somehow time-traveled to that time and place and recorded the events as they happened. The story is rich with the spiritual life of the tribe as well, as Fools Crow (his new name) receives advice from certain spirit animals, and finds meaning in what most would consider the mundane trivia of nature. Somehow, Welch communicates this aspect without making it seem the least bit silly or unbelievable. By the end, we all know what will happen, but the author chooses an ending that honors the life his ancestors led, the one that whites harshly and cruelly annihilated in their heedless race to the west coast. It’s a novel that I will never forget. Welch died back in 2003. 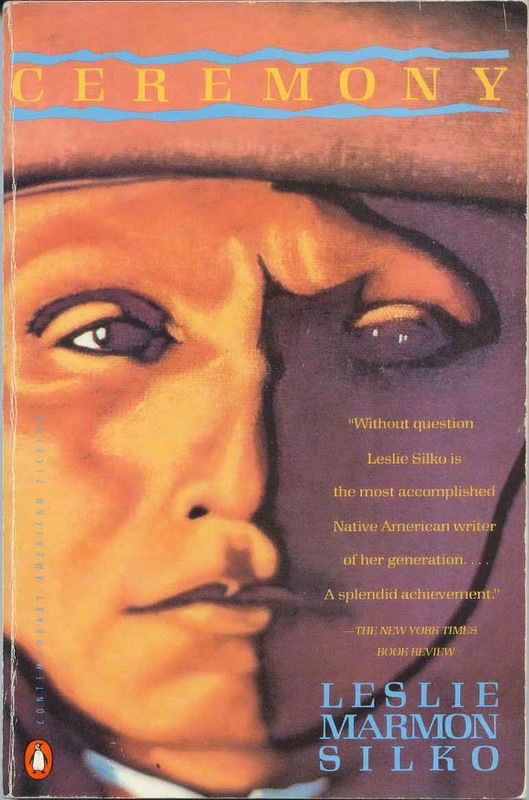 Leslie Marmon Silko – Silko’s novel Ceremony is set just after World War II, and is about a Native veteran who returns from the war to his hometown in New Mexico. He struggles with his memories of the war, specifically the death of his older brother, with whom he had a special bond. He copes by drinking too much, and keeping company with fellow vets who are constantly seeking and finding trouble. As the path he follows becomes ever darker, he finally looks for redemption in Pueblo spiritual practices. Again, a major theme here is reconnection with the old ways, and how they can help at least begin the healing so desperately needed after the genocide of a few generations before. Silko’s book sheds the light on what may have been the story for many Natives in those years afterward, as the rest of the country tried to forcibly assimilate them into white culture, or just forgot about them entirely. 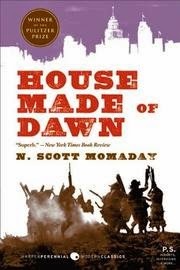 N. Scott Momaday – Probably best known for his novel House Made Of Dawn, which won the Pulitzer Prize in 1969. The story is similar to Silko’s book (though it preceded hers) about a returning veteran of World War II and his unsuccessful attempts to deal with the war’s trauma. Again, the drug of choice is alcohol, and the character knocks around his hometown for a while before making a fateful decision and landing in jail in LA. He returns to his home after six years, only surviving with the aid of a couple of friends, and begins the process of reconnection with his people and their ways. It’s a powerful story with indelible images (an albino Indian in a bizarre ceremony, a brutal attack that ends up on a lonely beach), and Momaday’s prose is patient and poetic (no surprise, since he is also a poet). I also recommend another novel by him from 1989, The Ancient Child. Louise Erdrich – At this point, maybe the best known of Native writers besides Alexie, she has many novels to her credit. 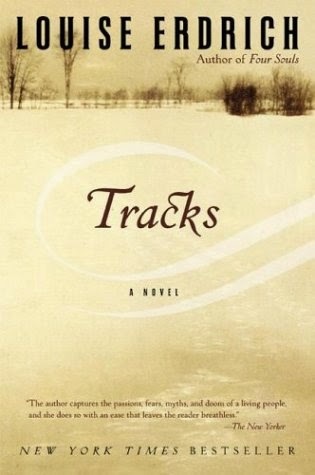 I recently read Tracks, which concerns the story of three Anishinaable families in Minnesota and their internal conflicts, as well as pressure from white expansion into their land. The story takes place a century ago, and the conflicts center around a Native woman who is fiercely independent and demonstrates shamanistic abilities, and a mixed race woman who denies her Native legacy and enters a convent. It’s another novel that attempts to fill in somewhat those years after the westward expansion completed, when the Native story is conveniently omitted from history. In tone, Erdrich tends to echo the favored style of the day, and has clearly taken cues from them, which I think explains much of her popularity. She’s a little florid for my taste, but this novel evoked the time and place with a haunting solemnity. 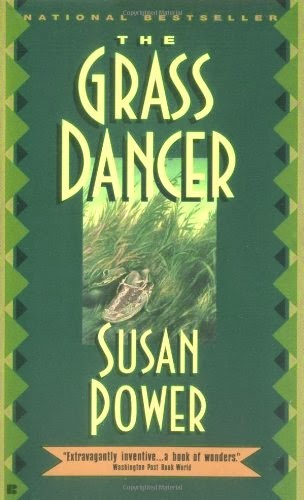 Susan Power – I’m currently reading her first novel, The Grass Dancer, and enjoying it immensely. Her prose style is more spare and matter-of-fact, with apt flourishes in spots. This novel is constructed as a series of vignettes connected by the characters. It jumps around in time, but I’m enjoying getting the background on those who have so far been introduced. There is a heavy spiritual aspect to the work, and one of the main characters is an older woman who regularly manipulates men through her “spells”. As with any book I like, I’m eager to read the rest, but not trying to read it too quickly. Like a good friend, you want it to linger for as long as possible. Here you have the Native authors and their works that have made an impact on me in the last couple of years. I plan to read more of their books, plus continue looking for new authors to discover. After finding so many of the more well-known authors on the bestseller lists disappointing, it’s been great to find some work that I can truly enjoy, without the self-conscious pretention baked in to so much of the MFA set’s prose. As a bonus, maybe these stories can help start a discussion about acknowledging and coming to terms with the barbaric and bloody past of the founding of this country.